Yahoo Search Monkey is a open source platform that allow users and publishers annotate and enhance search results associated with specific web sites. It allows third party publishers to customize and brand their search results. 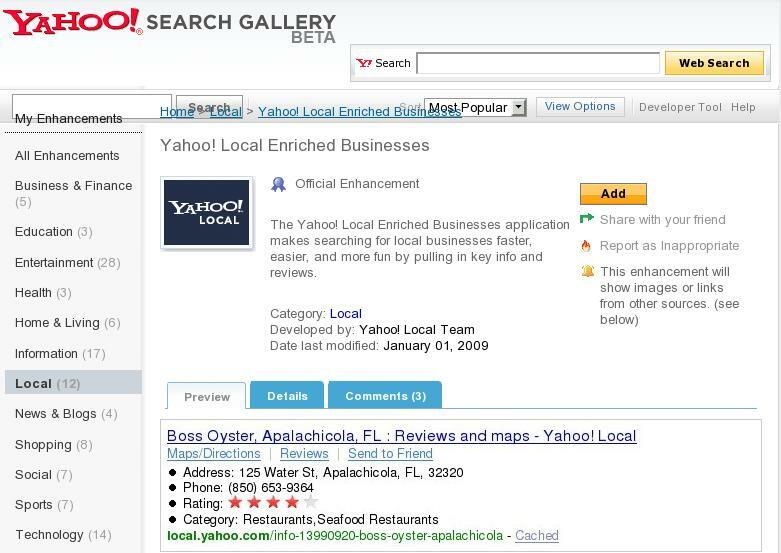 Yahoo’s search gallery helps users to quickly customize the search results. Yahoo is collecting the most useful applications into a gallery that searchers can enable for their own Yahoo search results. Find below a sample Search Monkey application from a Yahoo search Gallery. 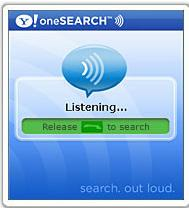 Yahoo!® oneSearch™ allows users search for information easy and fast using voice. Users can just speak into their phone and get relevant and accurate results. It uses natural way of speaking to initiate a search. Yahoo’s new technology of Unified Digital ad platform, APT, is a single platform for digital advertising, including ad serving, ad network and ad exchange. The platform would help publishers target geographic, demographic and interest based audiences easily. It helps connecting all market players and streamlines the process of ad-buying across multiple accounts and across multiple publishers and enable creative testing and campaign optimization. The Yahoo Maps offers a powerful way to experience and use maps. The maps can be read easily and the resolution of the satelite views are better. We can easily find directions using Yahoo maps. We can create rich contextual interactive map using Yahoo Maps API. We can embed Yahoo local listings, weather reports, upcoming events and Flickr photos to the map. We can even make it user interactive. Thus Yahoo maps API can be used to embed rich and interactive maps to our website. 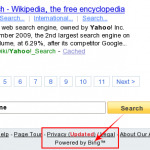 Yahoo Search Now Powered By Bing!! Yahoo Axis: The Next Step of Internet Search?